Don't stop the job because of the weather - pull on repel Rainwear and keep on working! 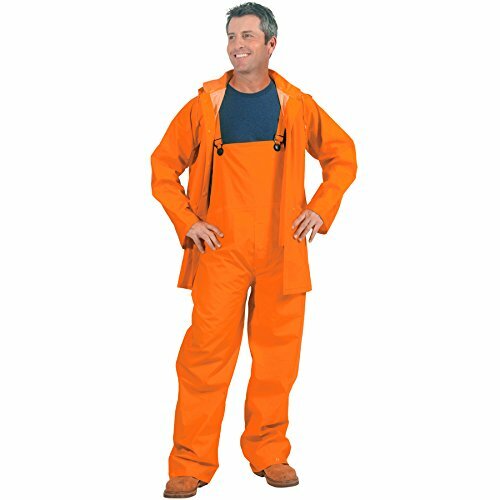 this sturdy, abrasion-resistant, 35 mil PVC rain suit is backed with polyester to slip on easily and feel less clammy. Includes jacket, detachable hood and adjustable Bib Overalls with snap fly. Jacket features two front pockets, storm flap and ventilated back. Soft, Corduroy collar prevents chaffing on neck. If you have any questions about this product by Galeton, contact us by completing and submitting the form below. If you are looking for a specif part number, please include it with your message.